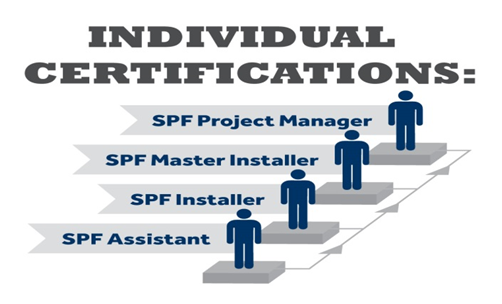 The SPF Assistant certification is specifically designed for those assisting in the installation of spray polyurethane foam in thermal insulation installations. SPF Assistant duties may include assisting in equipment and job set-up, substrate preparation, material handling and staging, moving of hoses/scaffolding/ladders, masking, trimming, clean-up and other non-spraying tasks. The SPF Assistant is the first level for both Insulation and Roofing. * All course materials are online or downloaded. No materials will be shipped to you. Complete your training on your own schedule, and take your exam when you want at a location near you. Start your online training immediately. No driving to class or paying for parking. 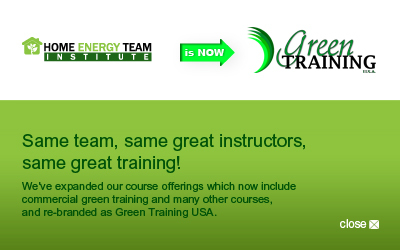 You get superior quality training at an unbeatable price - with complete flexibility! There are no prerequisites required before taking this course. Please see the pre-qualifications required by SPFA before certification can be achieved for Roofing and for Insulation.